A Revolutionary skin regenerating treatment with significantly less downtime than other treatments for skin damage, and less invasive and expensive than surgery. Dermal roller uses micro-needles to part the pores on the top layer of the skin without damaging them. The pores close approximately an hour after using the roller, during which your skin’s ability to soak up the nutrients of skin creams and lotions will increase. Dermal Roller has similar results to laser treatment, chemical peels and dermabrasion, but is considerably less invasive. It can be used on all skin types and even on sensitive areas such as around the eyes, neck and hands. The epidermis and melanocytes in the skin are not damaged, thereby minimising the possibility of post-inflammatory hyperpigmentation. It can be used by both men and women. When Dermal Roller is used, pinpoint punctures are made which push the pores open temporarily. The body responds by initiating the healing process, releasing growth factors and triggering the production of Collagen and Elastin in the skin. Persistent use of Dermal Roller means the body continues to heal itself until the desired cosmetic level of skin repair is achieved. 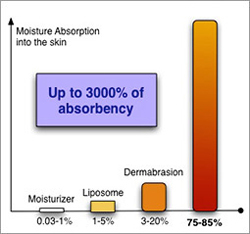 The body will start to naturally regenerate and repair the skin, working below the surface in the dermis. This takes time as new Collagen is formed, new skin cells are generated and blood supply is enhanced. It can take from 2-6 weeks before visible signs of regeneration and repair are seen and the process will continue over the following months, providing you with a natural and long lasting enhancement. The dermal roller stimulates collagen and elastin production and fibroblasts in the skin. Skin will feel tighter, firmer and wrinkles are diminished. Acne scarring, pigmentation, sun damage, stretch marks and cellulite can all be improved. Treatments can be carried out on the face, neck décolleté, back of hands and body areas. Regular treatments will show an ongoing progressive improvement in just a few months. Before and after photographs can be taken to monitor the ongoing regeneration.All treatments include homecare products.